The net foreign capital in the country is around $410 million dollars. Brazil, despite the crisis, attracts $78,929 million dollars. The State attributes the fall to the international crisis. Businessmen highlight national potential. Net Foreign Direct Investment (FDI) in Bolivia is low. The data of the Central Bank of Bolivia (BCB) reveal that, in 2016, the resources coming from abroad were $410 million dollars. These data place the country in the last places of the destinations that receive foreign capital, according to ECLAC. The agency’s report places Brazil in first place. The South American giant captured $78,929 million in times of recession. In second place is Mexico, with $32,113 million and Colombia ($13,593 million). Bolivia is above Paraguay, which received $274 million. In the last position is Venezuela, which does not report movement. In the first half of 2017, net foreign investments in Bolivia reached $278 million. Experts consulted say that the fall is because investors do not see attractive conditions to work in the country. It is not doing what is necessary to attract investors, according to Armando Méndez, former president of the BCB. They need, in their opinion, clear rules and policies, security, to attract more resources. “That the foreign investment is smaller, is not strange, only enters for oil, in other sectors there is almost none. It is a pending issue in the Bolivian economy,” he said. He pointed out that Korea and China, which were very backward 50 years ago, in their development plan, opted to relax their rules to attract capital beyond their borders. In the opinion of the Milenio Foundation researcher Germán Molina, in the long term the official model is not sustainable and foreign capital is needed to boost the economy. “In the short term there may be positive effects, but then you will have to resort to debt to sustain the expenses of the State,” he said. He said that even the United States reduced its taxes to repatriate its investors. Between 2006 and 2013, the allocation of non-native gross capital resources grew by 248.8%. However, since 2014, net foreign investment has been falling. That year it registered $657 million, for the following year the figure dropped to $555 million and in 2016 the amount was $410 million. 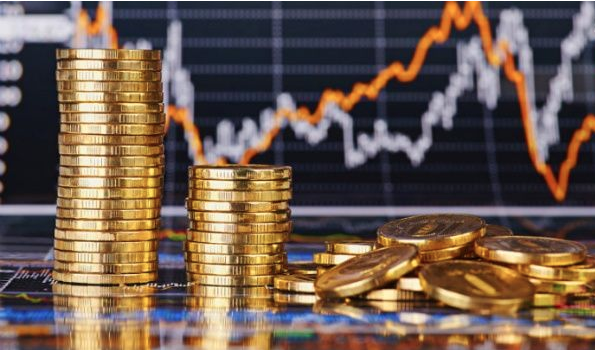 The Report Foreign Capital in Bolivia, of the BCB, indicates that the reduction of foreign capital flows is not a phenomenon that occurs in the country, but throughout Latin America and the Caribbean. “The adverse international context made the investment suffer in many countries; In spite of this, Bolivia continued to attract direct investment flows. In 2016, the Gross FDI reached $1,084 million,” says the BCB. In October 2017, Vice President Álvaro García Linera, in a public ceremony, said that Bolivia does not depend on foreign currency for its growth, but that “it is welcome if it arrives” and that the State will provide all possible guarantees. In another official ceremony in Santa Cruz, last Thursday, the head of state said that the presence of the foreign private sector is not only in hydrocarbons, but in “the hotel industry, in the case of Santa Cruz, and in services and food, in La Paz and Cochabamba”. “We show ourselves as one of the countries that grows the most. That sees the foreign investor and comes and deposits his confidence. Bolivia is an excellent place to do business,” assured García Linera. Despite the panorama that analysts reflect in line with the figures, executives of foreign companies highlight the potential for investments they found in the country. The general manager of the Belcorp multilatina, Antonio Portugal, said that the Bolivian market is very interesting and with many challenges that have not yet been fully developed. “There are many needs to attend both the female and male audience. Cosmetics is a competitive industry, very technical and with a lot of know-how,” he stressed. While Pablo Guardia, general manager of the telephone Tigo, announced that they will invest more than $145 million this year in Bolivia. “In the last five years, we have allocated more than $650 million to our projects. We know that investing in human resources and digital infrastructure in the country strengthens the relationship that unites us with Bolivia. It is a very simple strategy, grow together to benefit everyone,” said the manager. With the increase in consumption there is also an impact on packaging. Thus, the Swedish firm Tetra Pak, present in 120 countries, considers that Bolivia allows it to grow in double digits because it observes a growing development. The chief executive, Rodrigo Mercado, said that despite sending their products since 1982, five years ago they decided to be present in Bolivia with a commercial office because they saw an important opportunity to contribute with their technology to the food industry. Bolivian Thoughts opinion: Foreign investment in Bolivia remains stagnant due to the political discourse of the demagogue coca caudillo. evo is always demeaning the capitalist economy, always attacking the “empire” of the USA and accusing multinationals to come to steal, to depredate the environment … He encouraged forceful occupation of private land. invading National Parks to allow coca crops be planted; allowing smuggling and narcotrafficking to bloom. He forced state-owned enterprises that resulted in failures and waste of public funds; incredible rates of corruption across the public sector; having the tax office go after the formal economy with ridicule bureaucracy that lowers our competitiveness; controlling the media, and all the other State powers … more than 700 Bolivians fled the country due to political persecution. evo intends to remain in power forever … having reduced democratic freedoms, his speech of “socialism of the 21st century” NO longer is credible and therefore who in their right mind would come here to invest?! This entry was posted in Business, Economics, Politics and tagged bad politics, corruption in public office, demagogue, democracy in peril, government failures, public policy failures. Bookmark the permalink.